The Journal of the American College of Cardiology recently published a review of trending foods and diets recommended for cardiovascular health. Don’t worry, we know that getting dinner on the table is hard enough without having to wade through dietary statistics to figure out what to cook, so here’s the digest. A predominantly plant-based diet filled with fruits and leafy green vegetables is best for cardiovascular health. They have been proven to reduce risk of cardiovascular disease and coronary heart disease, and are the best source of antioxidants (supplements have not consistently demonstrated benefits). The current recommendation is to eat your produce in whole form and avoid juicing, unless you are otherwise unable to consume sufficient fruits and vegetables. Nuts may help control cardiovascular disease risk, but because they are high in calories, they should be eaten in moderation as a substitute for empty calories. For those with a gluten related disorder, a gluten-free diet well-balanced in vegetables, fruits, legumes, beans, nuts and other healthy fats may be beneficial. However, for those who do not suffer a gluten related disorder, a gluten-free diet has not been proven to have any benefit. When it comes to fats, liquid vegetable oils decrease cardiovascular disease risk (particularly olive oil), increasing “good” HDL cholesterol and decreasing “bad” LDL cholesterol. In contrast, solid fats (such as coconut and palm oil) increase risk factors and should be avoided. Unsaturated fats are associated with a lower risk in mortality, and trans and saturated fats are associated with an increased risk of mortality. Animal proteins (in contrast to vegetable proteins) are shown to increase mortality—particularly processed red meat which is associated with cardiovascular deaths. Despite the latest popular belief, one should limit dietary cholesterol such as eggs. In general, a diet high in added fat, fried food, processed meat, eggs, and sugar-sweetened beverages is the most detrimental to one’s health—associated with a 56% increase in coronary heart disease, a higher mean BMI, higher rates of hypertension and type 2 diabetes. Want to put these heart-healthy findings into practice? There’s an app for that! 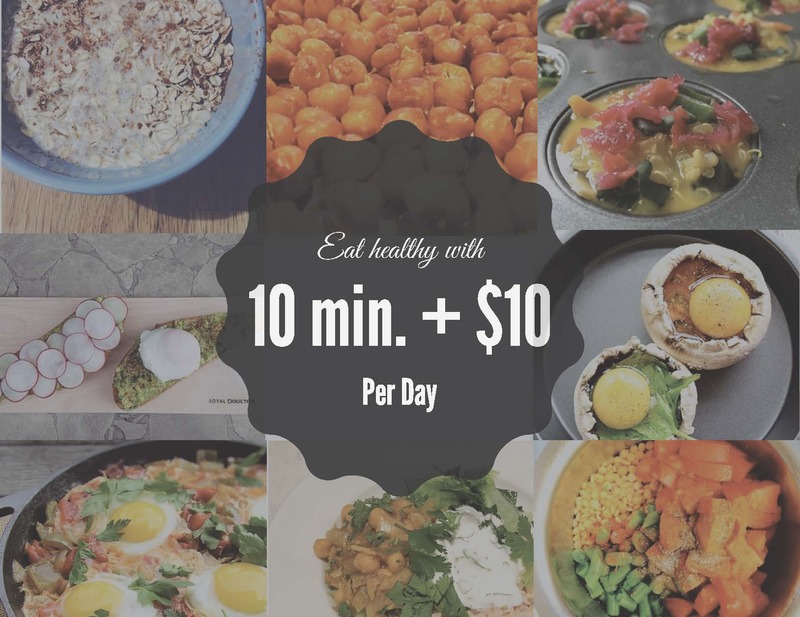 Foodstand helps you build healthy eating habits into your daily life through guided micro-challenges — with friends. 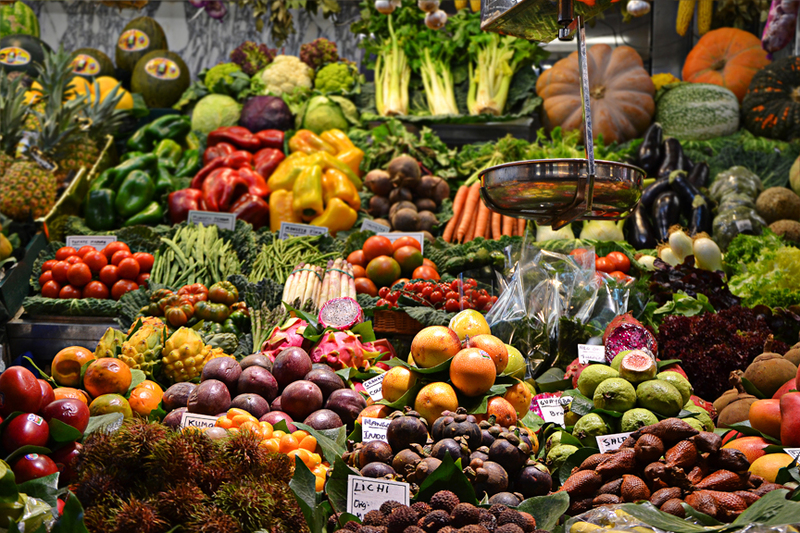 If you want to incorporate more servings of fruits and vegetables into your diet, join the Eat 5 Servings of Fruits & Vegetables A Day Challenge. Looking to eat less meat, animal fats and eggs? Join the Eat Less Animal Products Challenge. 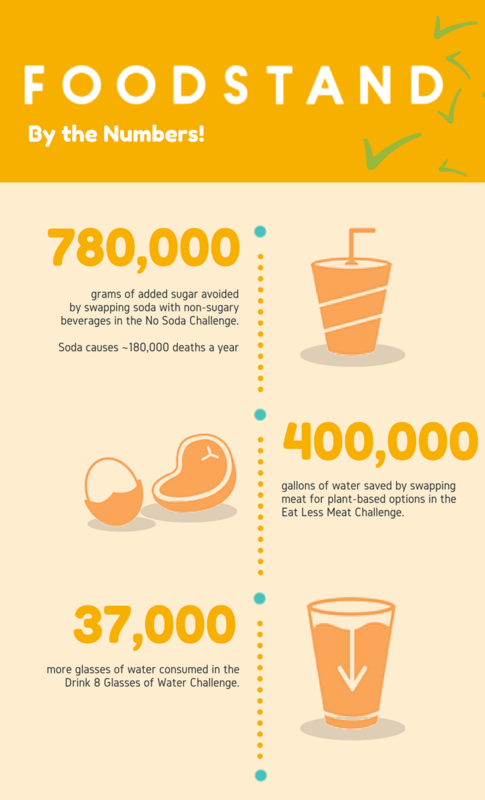 If sugar-sweetened beverages are your achilles heel, go for the Avoid Sweetened Beverages Challenge. Or if you want to ditch fried and processed foods, challenge yourself with Eat Real Food. And don’t forget to invite your friends—building heart-healthy habits is better together. Thursday, February 2, 2017. You might know it as Groundhog Day, but it’s also the day that most people kiss their unsustainable New Year’s resolutions goodbye. According to Foursquare and Swarm data, the first Thursday in February is the day that the rise in fast food check-ins and downturn in gym check-ins meet. Why? Every January the internet is abuzz with crash detoxes and diet fads, none of which are healthy or sustainable. And evidently, most don’t make it beyond a month. But developing good eating habits isn’t about extremes like swearing off gluten forever, never eating fries again, or pretending dessert doesn’t exist. It’s about making a habit of choosing the better option (and even indulging once in a while). Here are some simple swaps you can make in 2017 to get and stay healthy this new year. Breakfast pastries for toast—Breakfast pastries (aka dessert in the morning) flood your body with a ton of sugar, and set you up for a mid-morning crash. Try whole grain toast with nut butter and banana slices; avocado, olive oil and sea salt; an egg, sautéd spinach and Sriracha; goat cheese and berries… Bottom line, ditch the added sugar for some whole grains, protein, healthy fats and fruit. 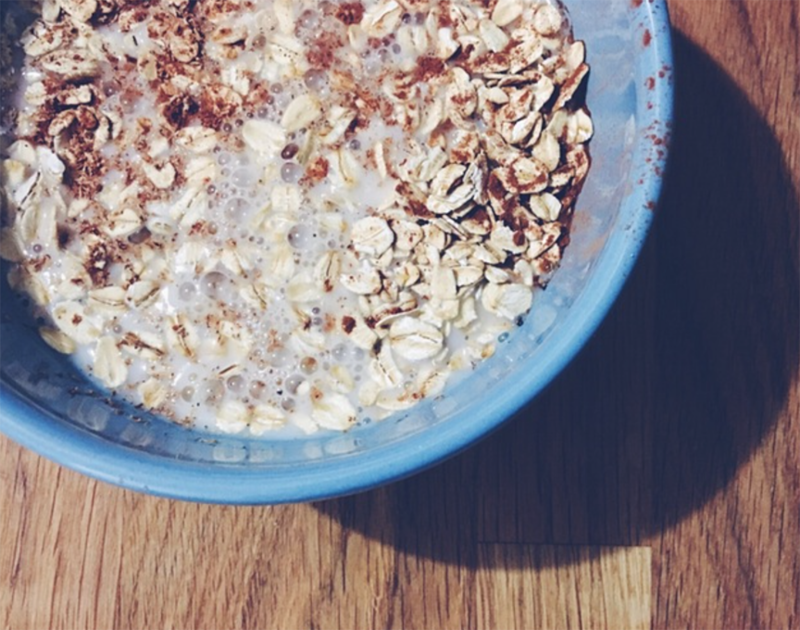 Sugary cereal/granola for homemade muesli—Muesli is a combination of raw oats, nuts, seeds, dried fruit and other whole grains. It is high in protein, low in added sugar, and delicious with milk or yogurt. Soda for seltzer—Seltzer aka soda water aka sparkling water is cold and fizzy without the chemicals or added sugar. If you need some sweetness, try adding frozen or fresh pieces of fruit to the bottom of your glass. 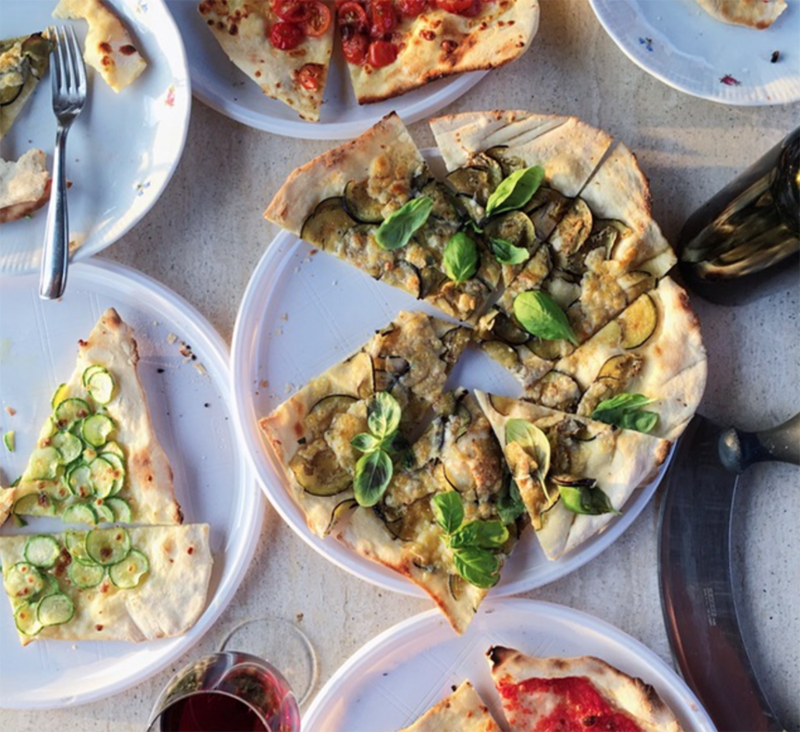 Pepperoni pizza for veggie pizza—Thin crust pizza piled high with veggies from your local, family-run pizza joint is lower in fat and higher in vitamins, minerals and fiber than your typical meat-laden, chain-store pizza. Better yet, make it yourself! Hamburgers for veggie burgers—A thick slice of grilled mushroom or eggplant is a sustainable, meaty burger alternative, with less fat, and more vitamins, minerals, and fiber. Try these Eggplant Sliders the next time you get a hankering for a burger. Spaghetti for spiralized veggie noodles—Spiralized zucchini or squash is a great vehicle for your favorite pasta sauce without the refined carbs. Spiralized noodles give your body the vitamins, minerals and fiber it needs, plus extra flavor too. Try this recipe for Zoodles with Basil Pesto. French fries for sweet-potato “fries”—Baked Sweet Potato Fries are lower in fat and higher in antioxidants. Plus, they’re naturally sweet, and help curb sugar cravings. 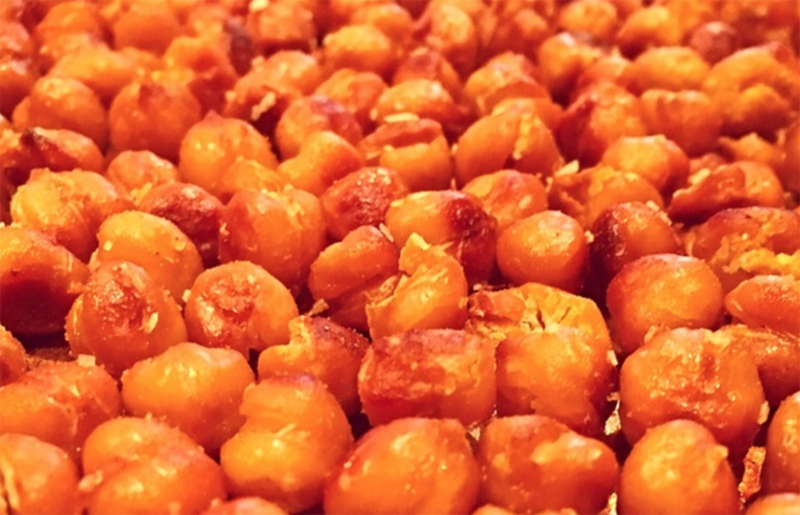 Chips for crispy chickpeas—Protein-rich, Roasted Chickpeas are craveably crispy and salty, but without the bad fat from the fryer. Plus, they’re higher in fiber and nutrients too. White flour cookies for almond flour cookies—Almond flour is packed with protein, and making the cookies yourself lets you control the sugar. Try these Sesame and Anise Cookies that are sweetened with maple syrup. Ice cream for banana “ice cream”—Store-bought ice cream is packed with added sugar and saturated fat. Making Banana “Ice Cream” at home in your food processor is equally as sweet and creamy, no added sugar required. Candy bars for dark chocolate + nuts—Candy bars are often packed with sugar and chemicals. If you want a chocolatey treat, try dark chocolate (70% cacao or higher) with a handful of toasted almonds. Dark chocolate has less sugar, and nuts are full of protein to help your body manage the sugar load. Track your healthy, home cooking habit by joining the Cook Dinner More Often Challenge on the Foodstand app. Happy cooking! Eggs are a good source of high-quality protein, and can be a key part of a balanced, no-added-sugar breakfast when combined with your favorite veggies. Bake them in muffin cups so you can grab one in the morning on your way out the door. They travel well, and can be eaten fresh out of the oven or cold out of the fridge. Give your chopped veggies a quick stir fry (1 minute) while you whip up your eggs. 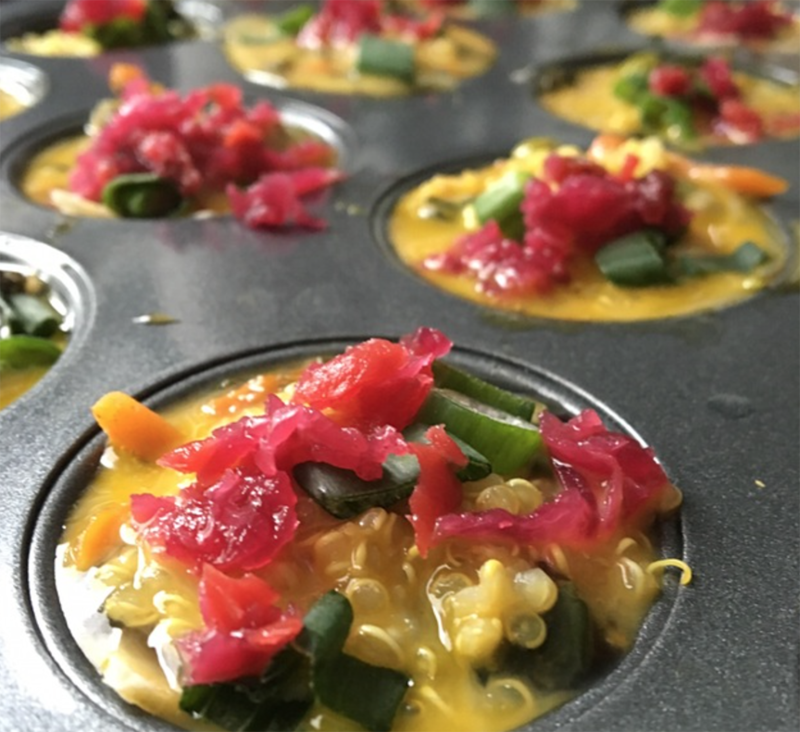 Stir in the veggies, season with salt and pepper to taste, and pour into greased muffin cups. Bake on 400 until golden brown. Eat fresh, or store them in individual reusable containers in the fridge for a grab-and-go breakfast. Assembling salads can be time-consuming, but if you plan ahead with the right ingredients, you can put this together in a jiffy. Combine baby kale, lentil sprouts, sliced mushrooms, pumpkin seeds, chopped cauliflower, chopped cabbage, a couple of slivers of smoked salmon and a heaping spoon of hummus in a to-go container. Season with salt and pepper to taste. If your mushrooms, cauliflower, and cabbage are pre-chopped, you can assemble this in a matter of minutes. Adding hummus to your salad gives you extra fiber and protein, and acts as a dressing without wilting your salad during the day. Despite its name, the slow cooker is your best friend for speedy meals. Before you leave for work, toss your favorite veggies, grains, and protein in a slow cooker with water (or stock) and seasonings. Turn it on low, and by the time you get home, dinner will be ready! My favorite combination is lentils, chickpeas, tomato, organic chicken breast, farro, cauliflower, bell pepper, and garlic. Seasoned with salt, pepper, paprika, and fresh rosemary (which doesn’t wilt), or chili powder, cumin, cinnamon, cardamom, and coriander. On a cold winter night, this stew is filling, warm, and fully balanced for a nutritious meal. Thinly slice a sweet potato (with a knife or a peeler), toss in olive oil, salt, pepper, paprika, and rosemary, and bake for 2 hours at 250 degrees. Flip them once about halfway through the baking process. Snack on these instead of chips or french fries. The McDonald’s Dollar Menu has got nothing on this delicious, healthy breakfast. Jars give the ultimate convenience, but if you definitely need to discard your brekkie container, make it in a recyclable solo cup. Start with a base of plain rolled oats, then top with almond milk, nuts, cinnamon, and a drizzle of honey or coconut nectar for a bit of sweetness. By the next morning, you’ll have a DELICIOUS and filling breakfast that is ready to go when you are. Assembling a sandwich is one of the easiest things to do in the morning, but ensuring it holds up until lunchtime is the trick. This avo egg sandwich can be prepped in 5 minutes if you follow the right order of operations. First, heat oil in your egg pan. Put 2 slices sprouted whole grain bread in the toaster. Crack 2 eggs in the pan, season with salt and pepper, give it a quick stir, and turn the heat to low. Slice half of the avocado and sprinkle it with lemon juice. 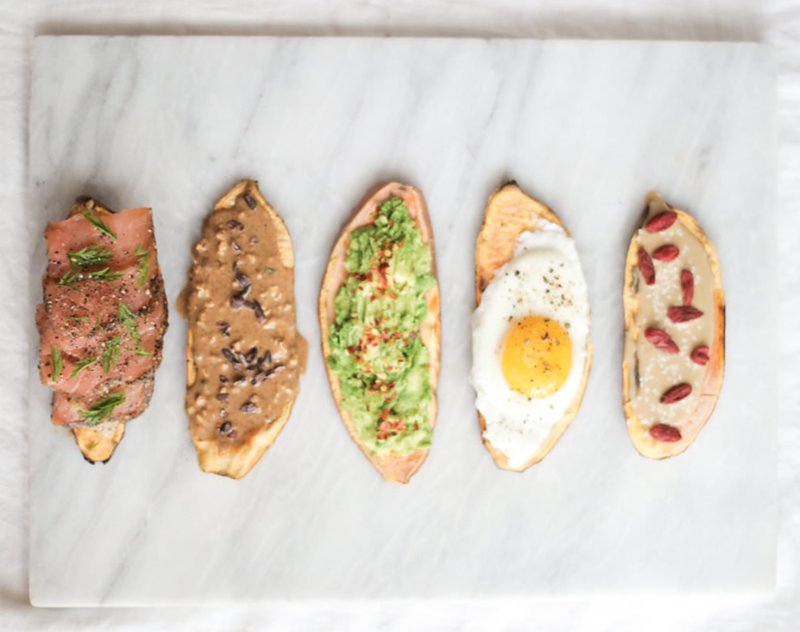 Grab the toast, flip the eggs, and slather one piece of toast with avocado. Once cooked, place the eggs on top of the avocado, top with sprouts, close your sandwich, and wrap it up. You’re done! Butternut squash is quite surprisingly affordable this time of year since it’s in season, and is a great source of carotenoids and vitamin A. 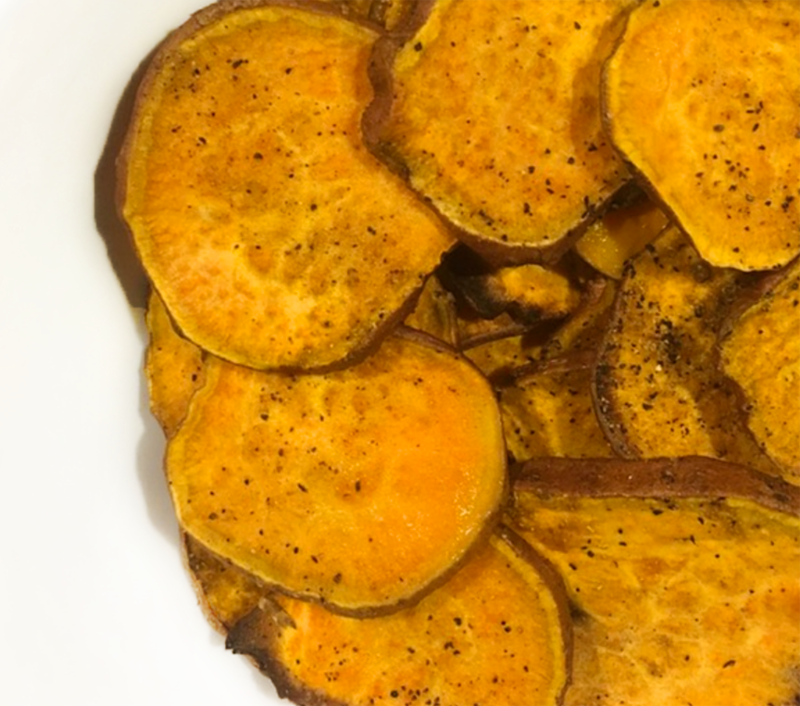 The squash seeds can also be scraped out and toasted for a yummy snack (or most grocery stores sell pre-chopped squash, saving you a ton of time). 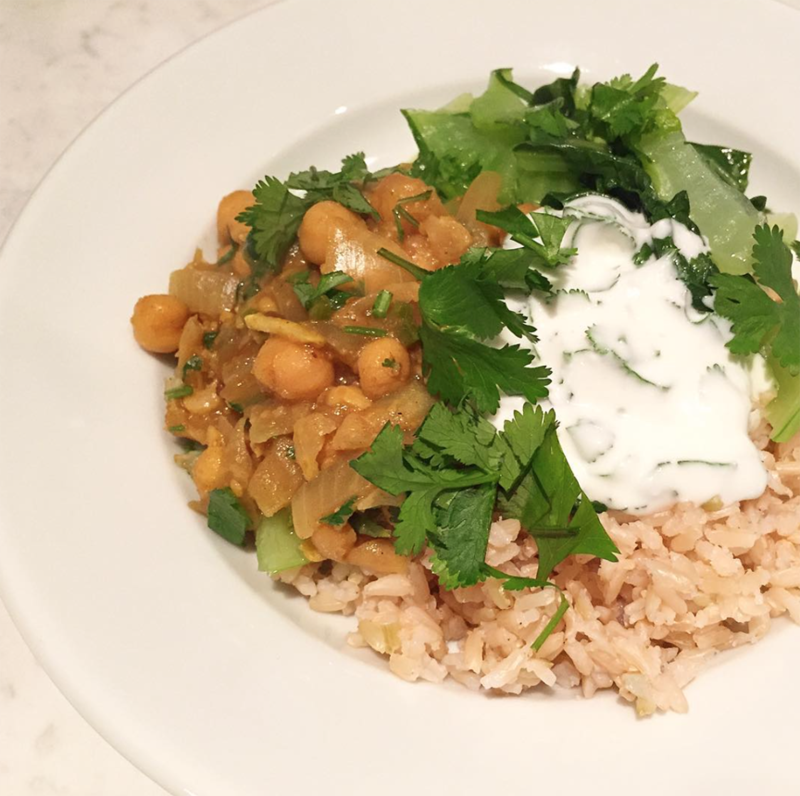 Making chana masala is pretty simple—in a large saucepan, start with a base of tempered cumin seeds followed by sautéed onion, ginger, and green chili. Add in spices (coriander powder, cumin powder, red chili powder, and turmeric), toss in the squash, chickpeas, and tomatoes, season with salt and pepper to taste, and wait for it to cook. Top with lemon juice, and serve like a “stew” with a whole grain like quinoa, barley, or farro for a well-balanced, filling meal. Rinse and pat dry canned chickpeas, toss in your favorite spices (our favorites include chili powder and curry powder or rosemary and lemon zest), salt and pepper to taste, and olive oil, and roast for 30 minutes at 450 degrees. 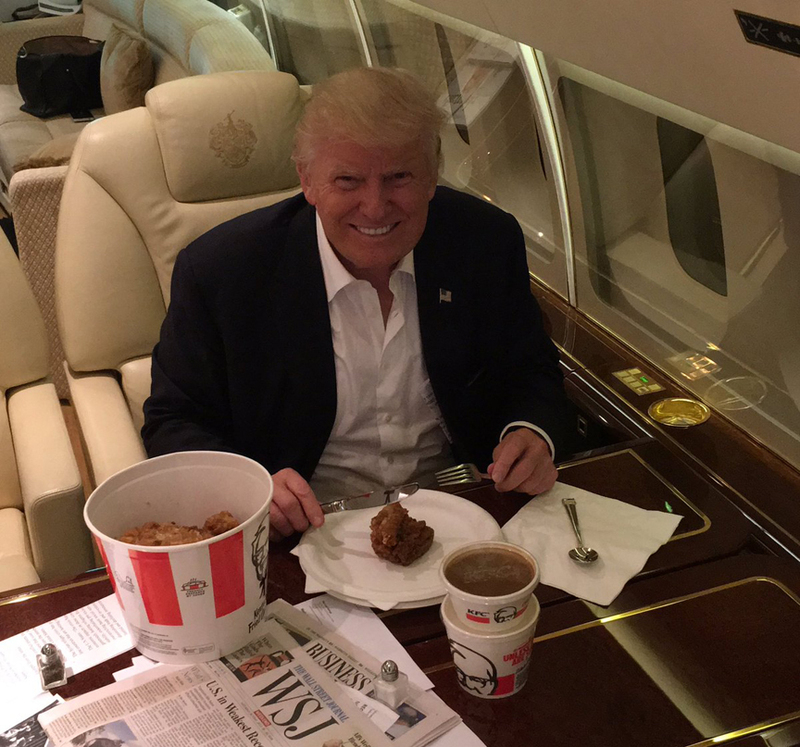 There you have it—a delicious, crunchy snack for the week. Swap sweet potato slices for your morning toast (they toast up in a toaster using the high setting for several cycles, or a total of about 15 minutes in a regular oven), and top with almond butter and pumpkin seeds—this is Mother Nature’s pop tart! You’ll get a healthy dose of fiber, protein, and hunger-fighting goodness with this hearty breakfast. If you’re on the go, sandwich two slices of sweet potato together and eat it on the run. Baked eggs are a perfect lunch to make before you head out the door in the morning. They take 2 minutes to prep, and bake to perfection while you’re getting ready. Lather two portobello mushroom caps in olive oil, sprinkle with salt and pepper, and place on a greased baking sheet. Crack 2 eggs in a bowl, whip, and stir in your favorite chopped veggies like broccoli, spinach, or thawed frozen edamame. 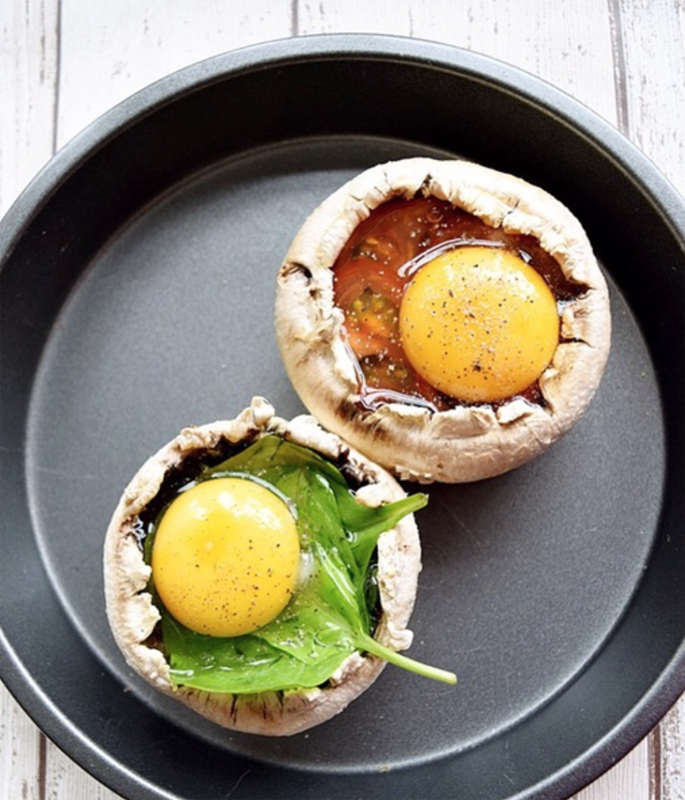 Carefully pour half the egg and veggie mixture in each mushroom cap. Pop them in the oven at 375 degrees, and bake for about 25-30 minutes, until golden brown. Place them in a reusable container (preferably glass for easy reheating), and out the door you go! 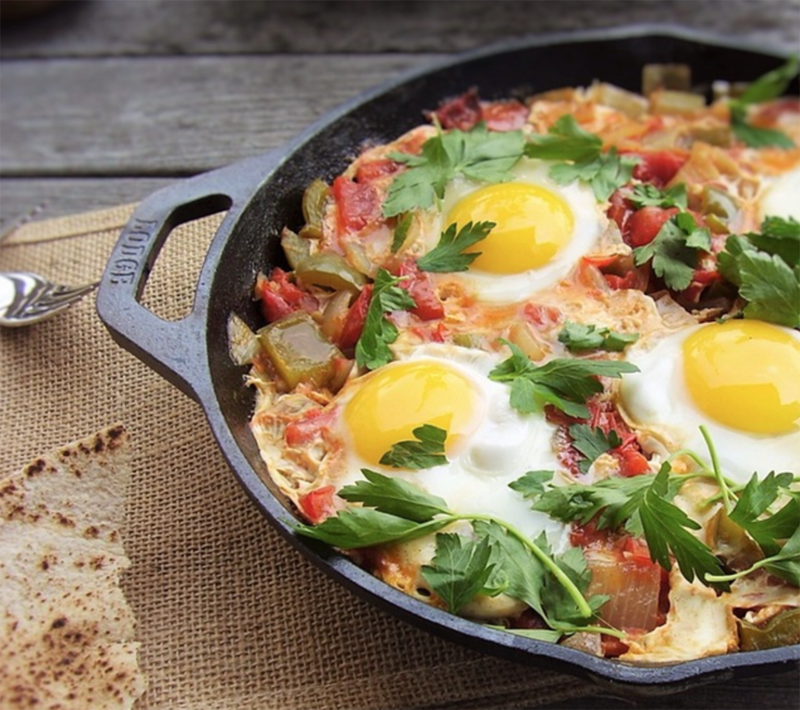 This Israeli brunch favorite can also be served as a one-pot dinner. You can customize it however you like by tossing in added veggies like broccoli or zucchini. This is also a perfect contender for chopped, frozen veggies to cut down on time. Start by sauteing onions and garlic in olive oil in a cast iron skillet. Add in a can of chopped tomatoes and veggies, and season with salt, pepper, paprika, chili flakes, and cumin. Let it simmer until tomatoes are mostly cooked. Make a few dents in the tomato sauce with a big spoon, and crack each egg directly into each dent in the sauce, leaving space between each. Cover, and let the eggs get poached in the stew and either finish on the stovetop or pop it in the oven for 2 minute bake. If you like, serve it with a slice of whole grain pita bread. Apple slices with almond butter are easy to prep at home or at work (especially with an apple corer), and provide the perfectly sweet, juicy, and tart snack you’re looking for at 3pm. Now that you have a game plan, maximize your dollar and the clock by carving out a little time to chop your veggies on Sunday nights. Or if you’re in a serious pinch, start with frozen, pre-chopped veggies. Stock your pantry with nut butter, canned beans, and whole grains so you have some on hand. And keep nuts and seasonal fruits in sight so you have an easy snack always at your fingertips. Good health in the new year isn’t a get-skinny diet, or a miracle superfood. Instead, the best piece of advice we can give is to eat a variety of real, unprocessed foods. It’s that simple. Here are some of our top picks for 2017—both what to eliminate, and what to enjoy—to become your healthiest you. Happy New Year! And happy eating too. Sweetened fruit yogurt. Don’t be fooled by the fruit on the label—one small strawberry yogurt can make up over half of your daily added sugar allotment even before you walk out the front door. Try unsweetened plain greek yogurt instead, and add your own fresh fruit. Liquid sugar. Whether it be soda or freshly-squeezed orange juice, consuming sugar in liquid form delivers your body with a huge quantity of sugar without any fiber to help your body process it. Ditch soda entirely, and stick to whole pieces of fruit. Artificial sweeteners. Artificial sweeteners such as Aspartame, Sucralose, Sorbitol and others have been linked with an increased risk for metabolic syndrome, and type 2 diabetes. Plus, they reprogram your taste buds into thinking fruit and other naturally sweet foods aren’t sweet enough. Packaged snack foods. While they may appear harmless, even savory packaged snacks often contain high levels of added sugar, sodium, and even chemicals and dyes. Stick with whole-food snacks like a piece of fruit with almonds, or carrots with hummus. Processed meats. Classified as a carcinogen by the World Health Organization, processed meats are said to cause colon cancer. On top of that, they often contain high amounts of sodium which can lead to heart disease, and nitrates which likely cause an increased risk of diabetes. Radicchio. With four times more antioxidants than romaine and a ton of disease-preventing polyphenols, dark red radicchio should make a regular appearance on your dinner plate. Counteract radicchio’s bitter flavor with fresh fruit and balsamic vinegar in a salad, or mellow its flavor by wilting it down with olive oil and sea salt. Butter beans (aka lima beans). They are high in protein which is great for blood sugar levels, and high in soluble fiber which helps lower cholesterol. Plus they’re a hearty vegetarian protein and taste delicious with almost anything (in stews, in tacos, sautéed with greens). Green moong dal flour. 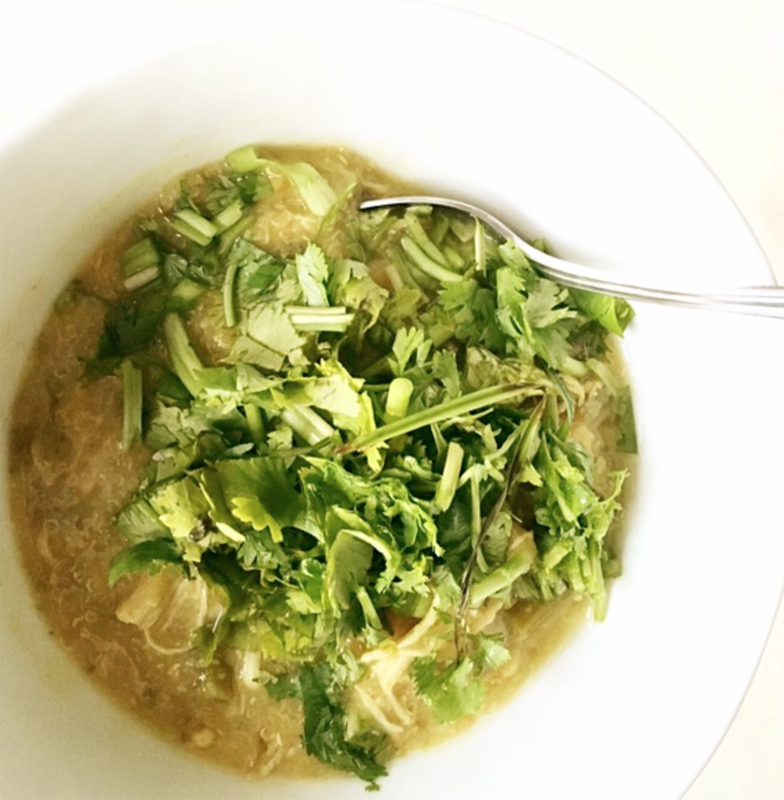 Another excellent source of protein and dietary fiber, green mung bean flour is a flavorful and nutrient-rich substitute for white flour that can be made into a wrap. Use it as you would a savory crêpe or breakfast burrito—our fave is scrambled egg, onion, chili peppers and fresh coriander. Fruit for dessert. 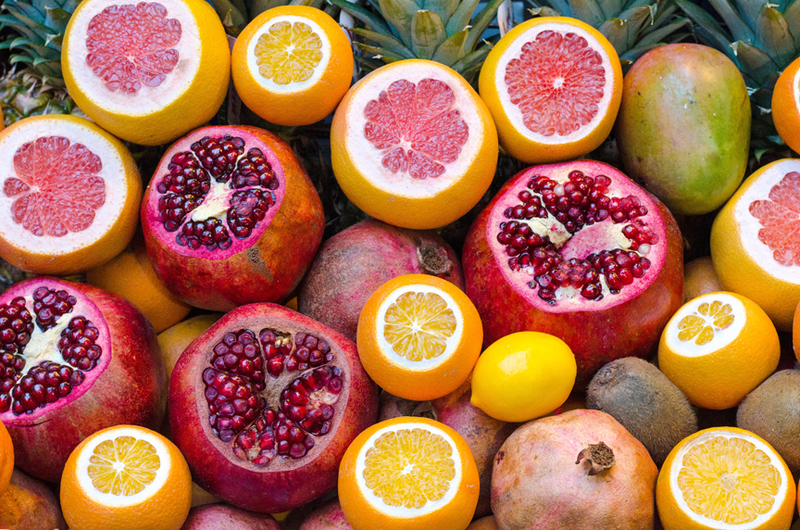 Swapping added sugar for fresh fruit gives your body a healthy dose of vitamins, minerals and fiber, and may even help sharpen your taste buds. Try pairing with roasted pecans or almonds for a richer treat. 100% chocolate. Ditching sugar doesn’t have to mean giving up your chocolate habit. Many chocolatiers make a 100% cacao bar with no added sugar that is just as flavorful and high in antioxidants as their 70-90% dark chocolate counterparts. Try this François Pralus bar, and avoid lower quality unsweetened varieties you find in the baking section at your grocery store. BONUS! Kelp. You’ve probably seen the hype, and it is so real. This protein-packed, sustainable, plant-based, gluten-free, zero-junk ingredient should be added to your repertoire. Use kelp noodles to replace lo mein or spaghetti for a healthier version of your favorites. You’ll also be able to get your hands on some Kelp Jerky soon so you’ll be able to snack to your heart’s content. Foodstanders knocked it out of the park this year! Each and every one of you worked incredibly hard at developing good eating habits, one day and one choice at a time. On top of that, we all did it together—congratulating each other’s successes, giving words of encouragement, and sharing helpful hints and tips with the community. You’re creating a healthier you, and a healthier planet. Give yourself a big pat on the back for all of your accomplishments! You deserve it. Don’t forget to keep up the great work this upcoming new year! Continue rocking your Challenge and start 2017 on the right foot—you’ve got this!